Found 2 file extension associations related to Proficy Historian and 2 file formats developed specifically for use with Proficy Historian. 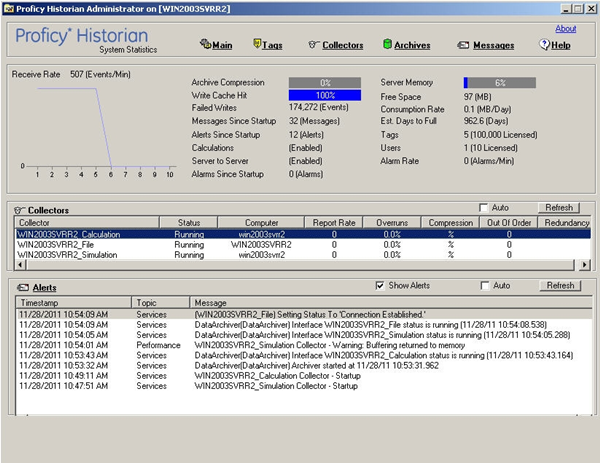 Proficy Historian is a powerful enterprise-wide data historian that collects, archives, and distributes tremendous volumes of production information at extremely high speeds. It quickly provides the granularity of data you need to analyze and solve intense process application problems. Built specifically for process data acquisition and presentation, Proficy Historian delivers meaningful context to vast amounts of raw data from across your operations. If you need more information please contact the developers of Proficy Historian (General Electric Company), or check out their product website.